Located on the bank of the Rio de la Plata, the capital city of Uruguay, Montevideo, is an untouched jewel of South America. With a population of over 1 million citizens, the city plays a major role in the country’s economic, cultural and trade growth. Attractions range from historical fortresses and cathedrals to luxurious beaches and cosmopolitan cafés. 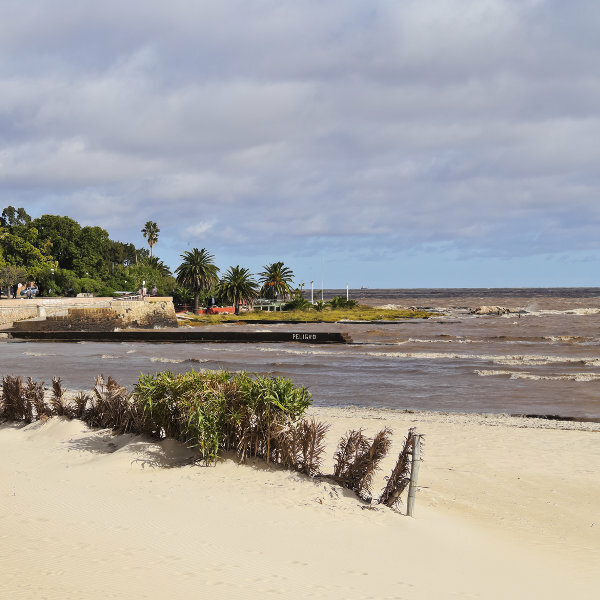 Cheap flights to Montevideo are now available for a limited time only, so book your flight today and explore the Spanish heritage and charm of this beautiful coastal city! Montevideo is home to Carrasco International Airport (MVD), a 30-minute drive from the city centre. MVD serves a multitude of airlines, including LATAM Airlines and VRG Lineas Aereas. There are no direct flights from South Africa to Montevideo, but popular connecting flights depart from Johannesburg and Cape Town. Flight duration from Johannesburg to Montevideo is approximately 16 hours. Founded in 1724, the Old Town of Montevideo is an exhibition of Art Deco and Neoclassical architecture, vividly depicted in buildings like the Metropolitan Cathedral and Palacio Salvo. The historic marketplaces are a sight to behold, not only in their grand appearance, but with the assortment of fresh produce, delectable treats and unique souvenirs on display - you won’t leave disappointed! Grab your sunglasses and beach towel and head down to the golden, sandy beaches of Ramirez and Pocitos where you can frolic in the waves, play a game of frisbee or work on your shimmering, summer tan. Montevideo experiences mild, moderate temperatures with warm, humid summers and cool, windy winters. December through to February sees throngs of visitors flocking to revel in the festive, summer celebrations. The yearly-anticipated Carnival kicks off in January, sometimes lasting all the way into late March. Expect glittery parades, marching bands and dramatic performances throughout the city. Another famous festival is Lemanja, celebrated in February, where crowds gather on the beaches of Montevideo to honour the sea goddess, Lemanja. If you’d prefer to wait for crowds to disperse, the sweet spots in April/ May and October/ November are ideal to make the most of low-season discounts and pleasantly warm waters of the South Atlantic Ocean. The months between June and September see winter setting in, with temperatures dropping to around 15°C – not ideal beach weather, but a perfect time to have the city’s attractions all to yourself! 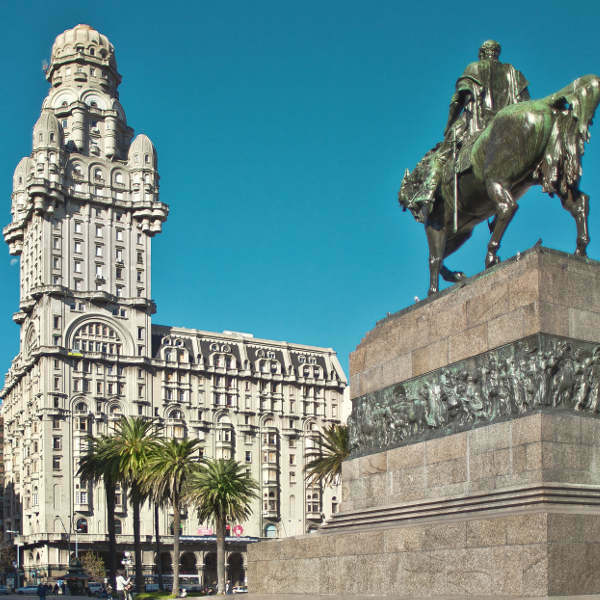 With a rich blend of history, culture, markets, parks, ancient churches, beautiful beaches, art, music and scenery, it’s surprising the South American city of Montevideo has managed to remain something of a ‘secret’ on the tourist radar. Luckily for those visiting, this means an experience designed to preserve the various attractions, without excessive crowds and over-development. Attractions vary from historic landmarks all the way to cultural highlights, festivals and beautiful scenery. A few striking landmarks to see include Palacio Salvo, Museo Torres Garcia, Palacio Taranco, Teatro Solis and Iglesia de las Carmelitas. A walking tour through the old towns of Ciudad Vieja and Barrio Reus reveal charming houses and quaint, side streets begging to be explored. Stroll along the Rambla, where you can enjoy stunning views and tasty delicacies along the waterfront. The popular beaches of Pocitos, Ramírez and Malvín attract sun-tanners, kite surfers and swimmers in the balmy, summer season. Shopping is a fairly diverse experience – browse the interesting mall of Punta Carretas (set in an old jail house) and explore the vibrant Mercado de los Artesanos, great for hand-crafted souvenirs! Compare several airlines and book your cheap flights to Montevideo online with Travelstart! Uruguay is another great destination South Africans love because it is visa-free for South African passport holders! You can stay for up to 90 days without a visa. Ensure you have a 6-month validity on your passport, including 2 free pages for stamps. The South African Embassy in Uruguay is situated at: 6337 Dr Gabriel Otero Street, Carrasco, 11 300, Montevideo. Phone: +598 2 601 7591. 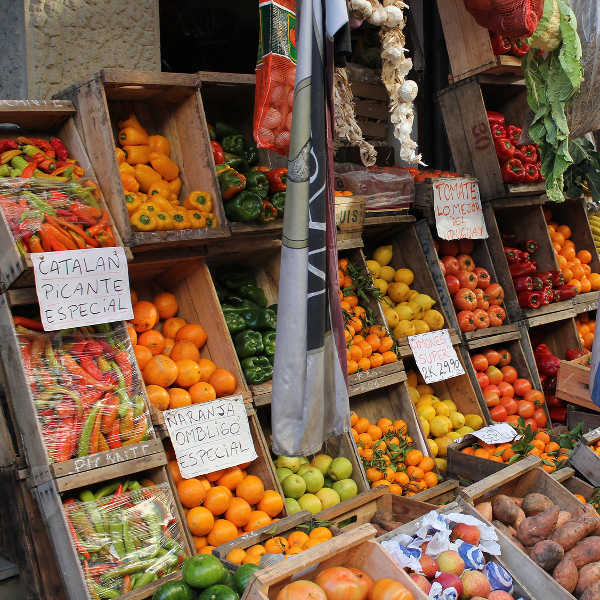 No vaccinations are required to enter Uruguay, although Hepatitis A shots are recommended in the event of being exposed to contaminated food or water. Uruguay has a good public-health system and the tap water is safe to drink. Montevideo is one of the safest cities in South America and tourists should feel perfectly safe to walk around exploring the city on foot. Do exercise basic caution and common sense, such as not leaving bags unattended and flaunting expensive jewellery and equipment. Petty crime like phone-snatching and pick-pocketing does occur, particularly along crowded streets at night. It is advisable to rather take a cab at night, instead of walking to your destination.